Braided PTFE hose is reliable as it is strong and durable. Braided PTFE hose works super efficiently under high pressure, in fact, it performs better under high pressure. Braided PTFE hose is also temperature resistant. Braided PTFE Hose is particularly useful when it is used in hostile conditions, such as extreme weather conditions. PTFE braided hose is resistant does not react with any chemicals available on the market today, at least most of them. The chemicals that can damage PTFE are molten alkali metals apart fromhalogenated chemicals so PTFE hose is perfect for different manufacturing processes. Braided PTFE hose is also used extensively in food & beverage manufacturing. PTFE hose pipes do not get damaged even when in contact with moisture for a long time. PTFE also does not transfer its properties to the liquid or gasesto the content and hence does not add odor, taste. It’s no wonder that PTFE gets ’s by the FDA and is allowed to be used in food products. Braided PTFE hoseis perfect for usage in fire safety and shock absorption as it provides security against fire. 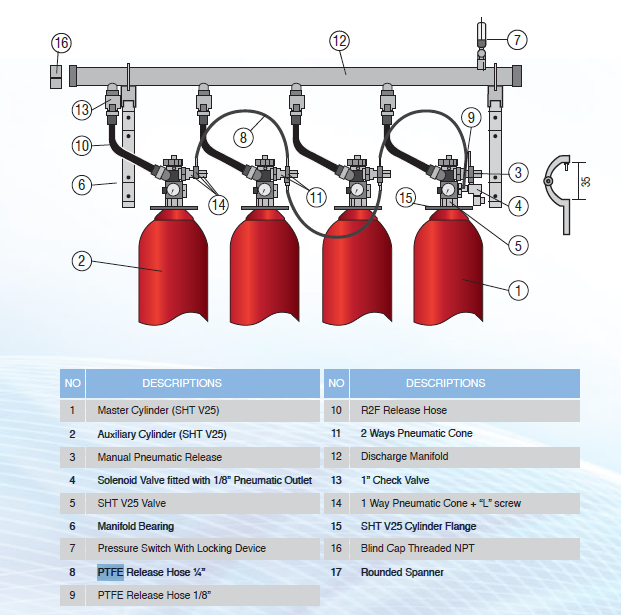 PTFE braided hose pipes are considered safe to be used in fire safety and are frequently used in a number of places where the use of fire is rampant such fire extinguisher systems (see image below). That’s not all PTFE hose can also be used in environments, where the heat is very high and can be provided with a silicone heat sleeve over the stainless steel braid reinforcement. Braided PTFE hose pipes are super flexible. 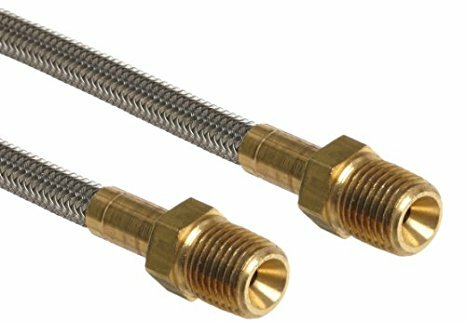 The stainless steel braid reinforcements allow the hose to be utilized in a number of processes which involve movement and vibration while maintaining its performance and durability. The hose can easily be bent. It mainly depends on the size and overall construction that are smooth-bore, convoluted and/or with outer protective cover. The PTFE braided hoses are non stick and hence preferred choice in food & pharmaceutical industries; they are also resistant to chemical attacks from the chemicals.